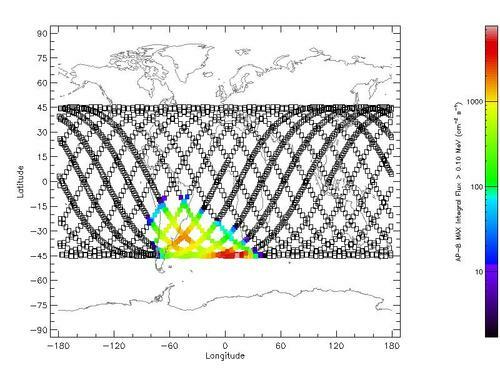 These models were obtained by assuming a 500km altitude, and modelling 20 orbits. These also represent worst case scenarios, as the flux was evaluated using data for solar maximum. Whilst in 2009, the satellite will not be operational during solar maximum, the Sun will be approaching this phase of its life cycle. For the data used in these plots, see the tabulated data. 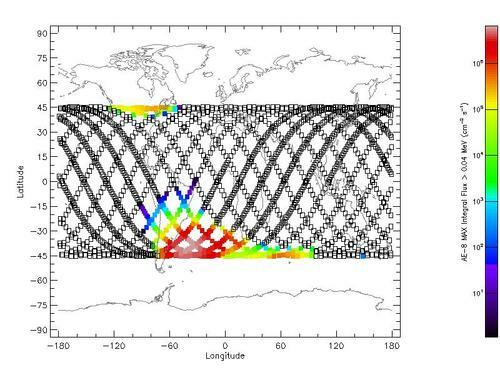 The second figure is a plot of orbital path for 20 orbits, showing the total trapped electron contribution to the Earth's radiation environment. Even without detailed calculations, it can be seen that, to first order, there will be a significant radiation environment experienced by the cubesat. 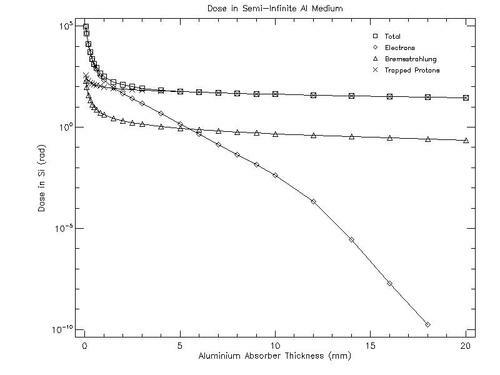 Figure 3 below shows the total dosage experienced by a Silicon sample as a function of shielding Aluminium thickness. 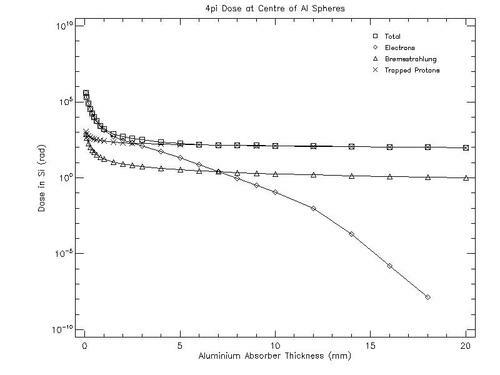 This plot is taken as the worst case senario, known as the centre of spheres model, where there is significant secondary radiation from the shielding metal. On this plot it is the top curve that is the one which is the most important. The raw data can be seen here. The data for the graph above is in the following document.